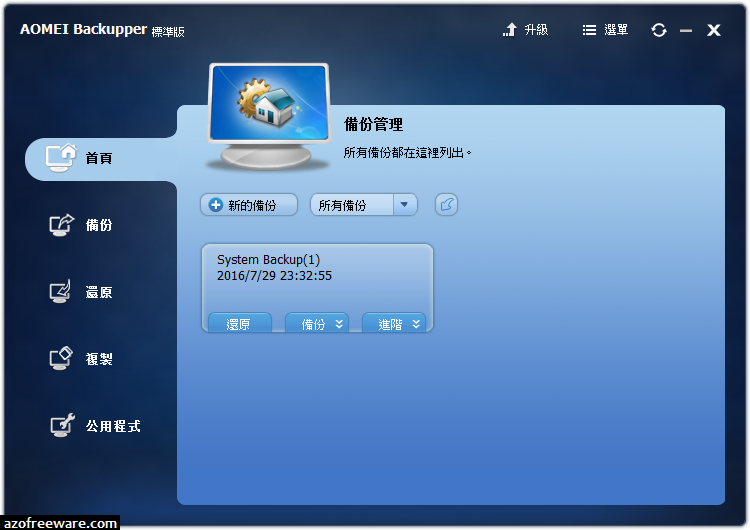 AOMEI Backupper Standard - The Simplest FREE PC Backupper. 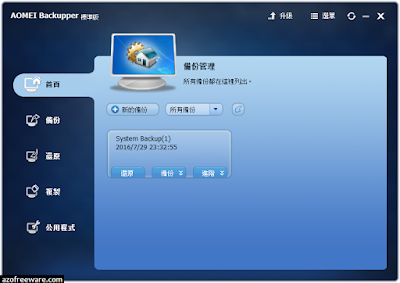 Free backup software to ensure data security with easy and fast operations. - All-in-one data protection and disaster recovery solutions for PCs and Laptops. - Automatic, full, incremental and differential backups simplify your backup tasks. - Clone system partition or entire disk to transfer OS to SSD or upgrade disk. - Dissimilar Hardware Restore, Bootable Rescue Disc, PXE Network Boot.